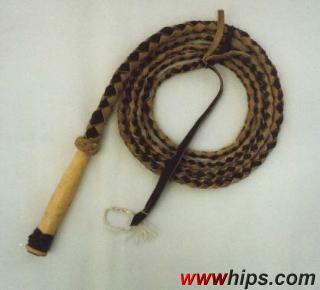 Simple Mexican swivel handle bullwhip, 10ft/4plait, two tone with wooden handle. This is the "basic" version. This typical handle shape is sometimes called "Bowling pin" or "Coke bottle" handle.